Do you work in clinical trials and want to know more about cancer trials? If so you may be interested in our courses which are aimed at those new to academic cancer clinical trials. Our courses give an introduction to this field of research. Places are limited, and priority is given to applicants actively involved in academic clinical trials working in a UKCRC Registered Clinical Trials Unit (CTU) or for the NIHR Clinical Research Network in the NHS. For example, trial assistants, data managers, trial managers, statisticians, clinicians and research nurses. If you do not fit this category then you can ask to be put on the waiting list for any unfilled places and, if a place is available you will receive notification 2 weeks before the course. Statisticians new to cancer trials should attend the annual Introduction to Cancer Clinical Trials for Statisticians Course. Clinicians may benefit from two of the Trial and data management courses: Running a Trial from Concept to Completion and Trial Outcomes. 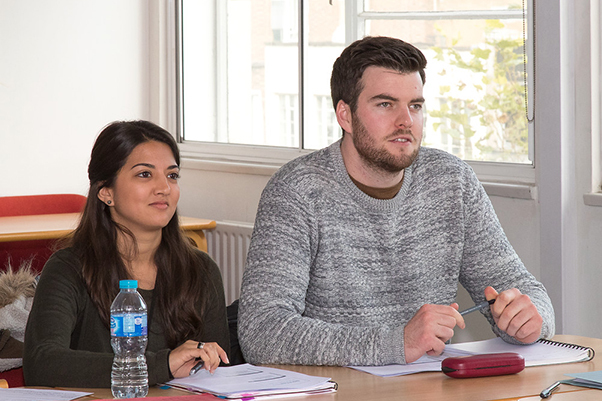 All courses take place at the Cancer Research UK & UCL Cancer Trial Centre. These courses are aimed at trial managers, data managers, trial assistants, research nurses and trial practitioners new to academic cancer clinical trials. These are introductory courses aimed at those wishing to expand their knowledge. This session gives a short basic introduction to cancer clinical trials for staff new to academic cancer clinical trials. Participants will get an introduction to why we need clinical trials, why we sometimes need randomisation, the different phases of trials and what they aim to do. The session will also highlight how drug development trials in cancer differ from non cancer trials and how the new era of targeted therapy is changing the way cancer trials are designed. This session, aimed at non statisticians, will cover the mostcommon primary outcomes measures used in early and late phase cancer trials. Participants will learn what makes a good outcome measure, how outcomesmeasures are defined and what data need to be collected to assess the outcome, especially for tumor response assessment and time to event measures such as survival and disease (or progression) free survival. To register (or if you have any queries about any of our courses) please complete the registration form and email it to the CTC Training Administrator at ctc.training@ucl.ac.uk The CTC Administrator will advise successful applicants of the fee payment process. Please note: payment is by credit or payment card only. Below are the programs used in Application of methods for central statistical monitoring in clinical trials. Clinical trials, Volume 10 Issue 5 October 2013 pp. 769 - 792. The links give the R code and a word document with instructions on how to run the program and interpret the output. This online application allows the user to design randomised phase 2 trials (with either 2 or 3 arms) using a margin of practical equivalence. This work was done by Dr. Hakim-Moulay Dehbi and will be published in a scientific journal in the near future. This is a three day course aimed at those delivering clinical trial training and wanting to improve their training skills. Participants will learn about, the importance of identifying training needs, setting learning objectives, including interactive elements. They will also learn how to assess whether learning has taken place and make the training they deliver have more impact in the workplace. Participants will have the opportunity to deliver a short training session and receive feedback. The course is not restricted to cancer trials and is suitable for those involved in trial management, data management, regulatory oversight as well as statisticians and clinicians. For maximum benefit you should attend all three dates. The 13th May, the 20th May and the 10th June 2018. This course is free for staff from units with ICTM (CR UK CTC, CCTU, MRC CTU at UCL and PRIMENT). ICTM staff please email ctc.training@ucl.ac.uk to book your place.